Lanz Nightgowns - When it comes to the bone chilling cold winter months, nothing beats the warmth of luxury sleepwear and nightgowns that envelop you in a soft and cozy embrace of bliss. Our popular pick? 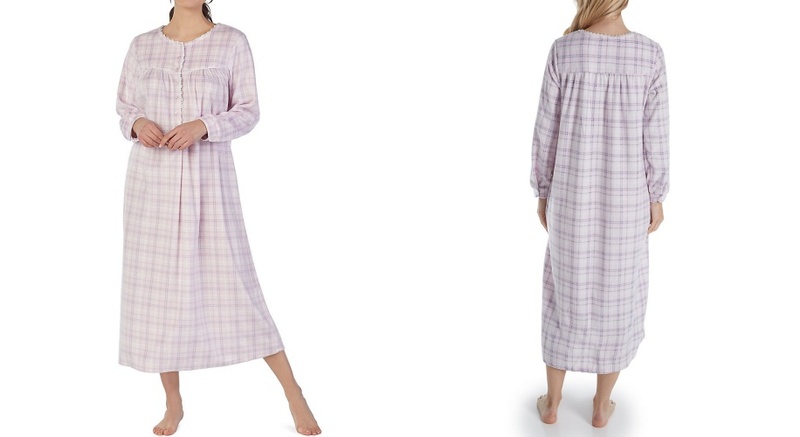 Lanz of Salzburg - timeless, classic sleep wear that's enjoyed by multiple generations all over the world. We adore everything about this upscale American brand - beautiful flannel nightgowns, pajamas and women’s sleepwear that are celebrated for their heritage print long nightgowns, exquisite craftsmanship, and feminine styles. When the wind is howling outside and the temperature drops during the cold winter months, nothing feels cozier and more relaxing than slipping into one of Lanz's gorgeous thick and cushy nightgowns for women, and sipping hot cocoa by a roaring fire. These celebrated flannel prints and plaids are recognized by their rich tones, eyelet and lace trims, and signature eye catching Tyrolean styles that are loved for their modest, feminine styles. 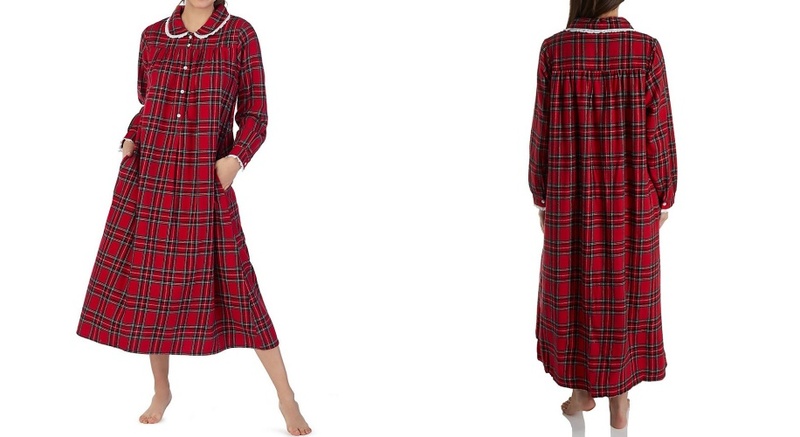 From the traditional rich red buffalo check and tartans to the ever popular dainty blue florals, these soft, plush flannel sleepwear styles offer maximum warmth and an easy flowing fit that flatters any silhouette, from small to 3XL. Though Lanz of Salzburg is now owned by the American ladies sleepwear manufacturer, Eileen West, this quality brand enjoys a rich and colorful Austrian history, dating back 60+ years. 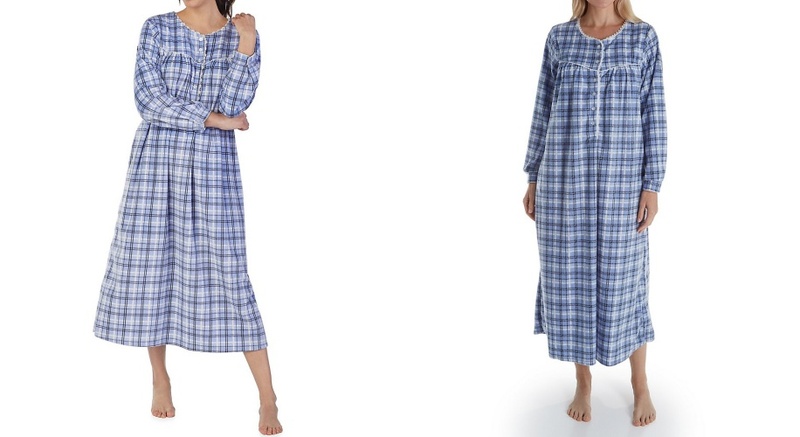 Womens flannel nightgowns in tartans and plaids just aren't your thing? No worries. Lanz of Salzburg makes it easy to enjoy your romantic, feminine side while keeping warm in lovely prints and patterns. Their pretty florals, delicate stripes, and whimsical animal prints in lighter hues make it easy peasy to look and feel great from winter to spring in colorful sleepwear that's simple and sensational. The traditional Tyrolean designs, warmth, and comfort of Lanz's flannel sleepwear are legendary, and are a time-honored tradition for many, especially at Christmas, but did you know that Lanz of Salzburg offers more than cozy warm wear. They also offer a variety of lightweight fabrics that are cool and breezy to wear - seersucker, jersey, and cotton nightgowns, robes, and pajamas are great for warmer climates, those who have sensitive skin, and even those who prefer natural fabrics that are breathable or eco-friendly. What is seersucker? Seersucker is a lightweight cotton fabric that helps wick moisture away from the skin, keeping the wearer cool and comfortable in hot and humid temperatures. Women of virtually every shape and size can enjoy the luxurious look and feel of Lanz nighties in a variety of complimentary night gown styles that range from mid calf to full length. Whether you're XL or 3X, Lanz plus size nightgowns are perfect for fuller figures who enjoy classic sleepwear styles that flatter without fuss and celebrate the female shape. 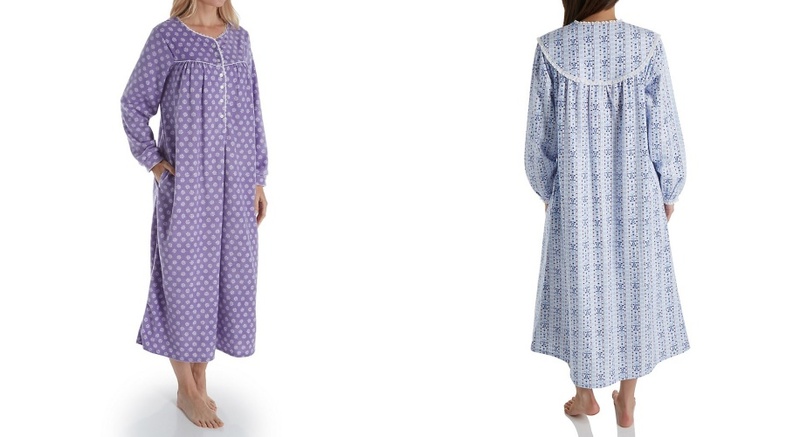 With an elegant, classic A-line cut that's relaxed and comfortable, these womens nightgowns do not overwhelm with too much fabric or fussy details. Whether you opt for a traditional tartan print, romantic and feminine patterns, or a versatile solid shade, any of the Lanz fabric options are perfectly suited to a curvier shape.